Landsvirkjun has a clear policy on social responsibility and is committed to maximising the positive impact of business on society and the environment, and diminishing the negative. Our CSR Policy is to create value, take care when working with the natural resources we have been entrusted with and to share the knowledge we acquire to contribute to a better society. Corporate social responsibility (CSR) is about maximising the positive impact of business on society and the environment, and diminishing the negative. It is about creating a business environment where transparency facilitates stakeholder engagement. Landsvirkjun has set clear objectives in fulfilling its CSR Policy. Landsvirkjun’s policy on CSR was a key project in 2013. The Policy has been developed over a two year period with the involvement of dozens of employees. There was particular focus on specific measures and employee awareness with regard to social responsibility. The work completed in 2013 was successful with many significant milestones achieved. In December, 2013 Landsvirkjun signed the UN Global Compact on social responsibility and committed to implementing the ten principles outlined by the UN in the areas of human rights, labour, the environment and anti-corruption. Our hope is to gain valuable input from this partnership in order to make our CSR Policy more transparent and effective. Startup Energy Reykjavík (SER) is a mentorship-driven investment program for seed stage, energy related business ideas. The program, which offers its participants the opportunity to be mentored by a group of 50 experts from the science and business world, was launched in March 2014 and was active for a 10 week period. The founders of the program are Landsvirkjun, Arion Bank, GEORG and Innovation Centre Iceland. An investor assembly was held on the last day to give participants the opportunity to present their ideas to potential investors. The goal of the program is the creation of shared value for the energy industry and society. Landsvirkjun’s employees have shown initiative in social responsibility matters by utilising their expertise for good causes. Oscar H. Valtýsson, Head of Telecommunications at Landsvirkjun, has designed and developed an airborne search and rescue system in cooperation with Landsvirkjun, the software company Rögg and the Icelandic Coast Guard. According to a recent survey conducted at the Company, 91% of Landsvirkjun‘s employees believe that a CSR Policy is an important aspect of Landsvirkjun‘s operations. The new device has been funded by a number of companies including Landsvirkjun and the insurance companies VÍS, TM and Vörður. The engineering firm Héðinn voluntarily designed and manufactured the host and antenna mount for the Icelandic Coast Guard’s helicopter. Vodafone lent out frequencies and experts at the Icelandic Institute for Intelligent Machines developed the mathematical and modelling software utilised in the positioning and navigational part of the search system. The system is able to locate cell phones with great precision and can serve as a crucial tool for rescue and search parties. The Icelandic Coast Guard successfully utilised the device in September, 2013 during a search for a lost tourist at the Skaftafell Glacier. The final product will be handed over to the Icelandic Coast Guard for future operation during search and rescue missions. Landsvirkjun’s Code of Conduct was published and implemented in December, 2013. There are nine categories, including the health and safety of employees, the importance of integrity and respect in communication and the handling of confidential information and conflicts of interest. The first three months of 2014 will give employees the opportunity to provide feedback on our Code of Conduct which will then be made public. Landsvirkjun‘s value chain includes service providers, suppliers, consumers and other stakeholders. In 2013, we re-evaluated our value chain policy. The scope of the policy was discussed, as were the methods utilised by other companies in implementing such a policy, performance criteria and the relevant standards and guidelines. Work on the re-evaluation of the policy could not be fully completed this year and will therefore continue throughout 2014. In 2013, the International Hydropower Association conducted an assessment of the Blanda Hydropower Station utilising the HSAP (Hydropower Sustainability Assessment Protocol). The Protocol places particular emphasis on environmental and social aspects. The report showed that Landsvirkjun fulfils the highest standards of practice in 14 of the 17 topics. Landsvirkjun was awarded the second highest rating for the three remaining topics. Topics evaluated during the assessment included responsible governance, environmental and social issues management, public safety and labour and working conditions. The report is available on Landsvirkjun’s website. In 2013, preliminary work began on connecting the key sustainability indicators outlined by the GRI (Global Reporting Initiative G4) to the environmental aspects outlined by Landsvirkjun. Work will continue throughout 2014. Monitoring and environmental surveillance was increased on hydrogen sulphide levels, the climate and on air quality. Measurements on the concentration of hydrogen sulphide in the air are now accessible in ‘real time’ on the Landsvirkjun website. Cooperation with ÍSOR on a report on sustainable energy production at Bjarnaflag. A research project at Krafla initiated to map the “arteries” of the geothermal system. The results could be utilised to improve the energy utilisation of the system. Participation in a number of research projects in connection with the utilisation of geothermal energy including the Deep Roots of Geothermal Systems Project which focuses on increasing expertise on geothermal systems and IMAGE: Integrated Methods for Advanced Geothermal Exploration, a European project which aims to improve research methods used to map geothermal systems. Research on the impact of geothermal utilisation on the warm groundwater streams flowing into Mývatn. Monitoring the chemical composition of borehole fluid, gasses and steam from boreholes and the geothermal system. Research on the effective utilisation of the energy stream of water, steam and gas for further energy production or other uses. 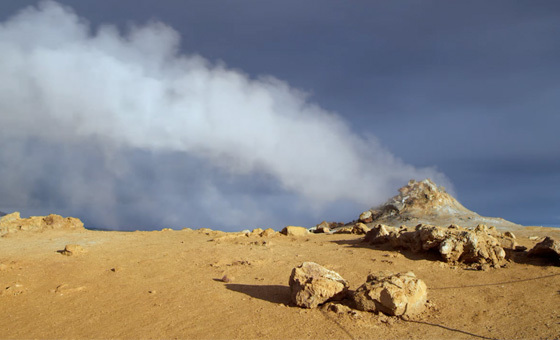 There are indications that it would be possible to produce pure carbon dioxide from geothermal gasses to be used for industrial purposes; thus transforming pollutants into raw material. Research into methods for lowering the concentration of hydrogen sulphide from geothermal power stations. 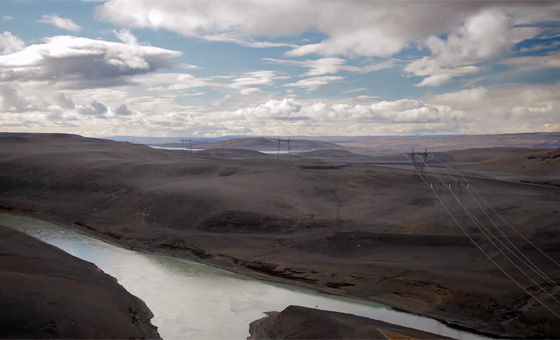 Part of this drive is the collaboration with SulFix, a collaboration of Icelandic energy companies working together in order to better understand the implications of re-injecting hydrogen sulphide into the geothermal reservoir. Important steps were taken to reduce or neutralise greenhouse gas (GHG) emissions, including soil conservation and reforestation. An agreement was reached with the Iceland Forest Service and Soil Conservation Agency on two new areas of carbon sequestration. It is estimated that carbon binding will reach 2.5 T carbon / ha per year, within a decade. An agreement was reached with Kolvið on the neutralisation of all carbon emissions as a result of Landsvirkjun’s use of petroleum and diesel for transportation purposes, the international and national air travel of employees and finally the disposal of approx. one thousand tonnes of waste. Research has also been conducted on the extent of natural emissions from geothermal areas. One of the cornerstones of Landsvirkjun’s Policy is building a strong collaborative alliance with society, with a view to their interests, ensuring that society and the environment enjoy benefits from our operations. Early on in 2013, Landsvirkjun committed to developing a communication plan for stakeholders in the Northeast of Iceland. Communication strategies for the area include two proposed project sites: Bjarnarflag and Þeistareykir. The Communication Plan is a development project created to minimise uncertainty and to prevent any breakdown in communication between Landsvirkjun and its stakeholders. We set the objective of reviewing our staff policy with respect to the major changes made to the policy and role of Landsvirkjun. This goal has been partially achieved and a draft of the policy has been completed. The implementation of the policy will be finalised in early 2014. Landsvirkjun signed three cooperation agreements with various academic institutions with this objective in mind. 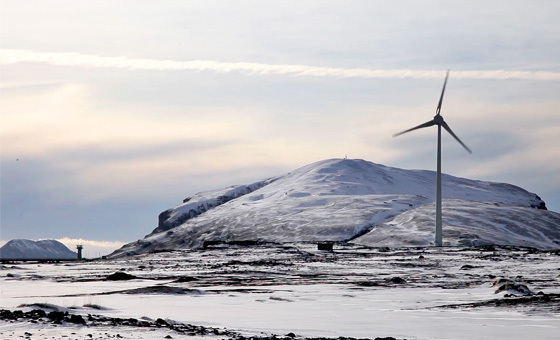 In July, 2013 Landsvirkjun joined forces with Reykjavik University and the University of Iceland to support and encourage the development of expertise within the field of renewable energy. Landsvirkjun has pledged 80 million to university education, over a five year period, to promote university education and research in geochemistry, electric power engineering and other academic disciplines within the universities. In October, 2013 Landsvirkjun and the Institute of Economic Studies joined forces in an effort to support and encourage research within the field of business and economics pertaining to energy generation, subsequently increasing public knowledge and awareness on the significance of these factors with regard to the economy. Landsvirkjun will contribute an overall total of 24 million ISK to the Institute of Economic Studies over a three year period. 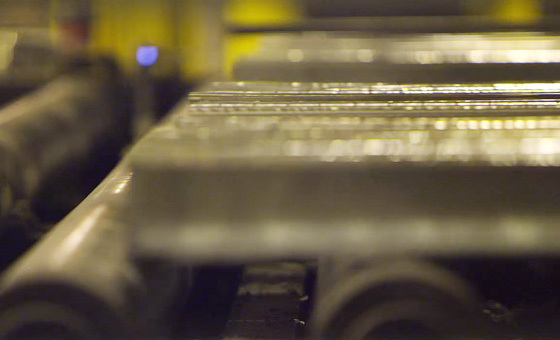 Extensive efforts were made to share audits and reports executed for and by the Company by connecting with the electronic search engine gegnir.is. In 2013, approx. 300 reports were made ​​available via this source.